Cheap Airlines to Malaysia was unheard of before the launched of no frills carrier called Air Asia Airline in January 2002. The airlines then was serviced mainly by the national carrier called Malaysia Airlines System (MAS). With the tag name of "Now Everyone Can Fly", AirAsia has managed to turn the airline industry in Asia where many who have never flown before is now able to fly due to the reduction of air ticket. The airline no frills concept has managed to cut the cost of tickets to more than 50% to some destination compared to the conventional airlines. The no frills airline concept work in that meals will not be provided in the standard air fare. However, you can still purchase the meals on the airplane from the air stewardess. Ticketing is made simple where there is no seat number, the seat is on first come first concept. However, an option for seat number was introduced later for a fee. 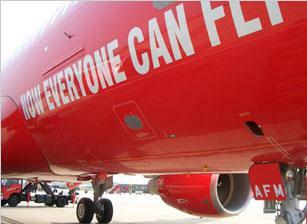 AirAsia has become one of the most successful airline both within Malaysia and in Asia. The domestic destinations that are served include Kuala Lumpur, Penang, Langkawi, Terengganu, Kelantan, Johor, Labuan, Kedah, Sabah and Sarawak. The airline recently won the "Best Low Cost Airline - Asia" during the World Airline Awards organised by Skytrax. It is a reflection of the commitment to continue giving you value for money by the staff and management of this airline. International flights include Thailand, Indonesia, Philippines, Cambodia, Brunei, Myanmar, Vietnam, Macau, Australia, India, Sri Lanka, Hong Kong, India as well as mainland China. Check out the many offers that this airline offer throughout the year. The faster you book your flight, the cheaper the price of the ticket. Weekends and public holidays fares are generally higher than weekdays fares. You can book online by going the Air Asia website. There are counters that sell the tickets as well. One of them is located at Kuala Lumpur Central, the new transportation hub of Kuala Lumpur. The newly open airport KLIA2 is AirAsia hub in Kuala Lumpur. However, take note that the advertised price which can be as low as RM9.90 does not include airport tax, fees and fuel surcharge. You will be able to know the actual fare that you have to pay after keying in your departure and destination city. Usually, these extras can be a few times higher than the advertised price but in general it is still lower than other major airlines. Others cheap airlines to Malaysia include the Jetstar, Tigerair, Malindo Air and Firefly. If you are traveling from Kuala Lumpur to Perth, Australia, Jetstar is another cheap airlines to Malaysia that you can consider taking. This airline is Australia's and Singapore's new low fares airline for Australia and the Asia-Pacific. As this is a low fares airline, the advertised price usually exclude meals, refreshments and entertainment which can be purchased separately. Jetstar's Asian operation is owned by Quantas, Temasek Holdings and two local businessmen with the hub based in Singapore. This budget airlines has become one of the popular low fares air lines with destinations which include the United States, Australia, Singapore, Thailand, Myanmar, Phillipines, Vietnam, Cambodia, Japan, Indonesia, Hong Kong and Taiwan. Competition from cheap airlines to Malaysia has caused Malaysia Airlines to offer competitive price for their air tickets. As one of the pioneer airlines in Malaysia, Malaysia Airlines was established in the year 1947 and the national carrier has been recognized as one of the leading carrier in Asia, flying across 6 continents of the world to more than 100 destinations everyday. The airline was not doing well in the past few years and was re-energised with the appointment of the new management team. MAS has now turn-around and has started making profit. It has won many awards which include the "World's Best Cabin Crew" by Skytrax UK consecutively from the year 2001 to 2004 and No.1 for "Economy Class Onboard Excellence" by Skytrax UK in the year 2006. The latest award won was the "World's Best Cabin Staff" at the World Airlines Award 2007 organised by Skytrax. This survey is regarded as the main bench marking tool for passenger satisfaction levels of airlines around the world. There were more than 3 million respondents from 90 nationalities that took part in this survey. If you have yet to try this carrier, give it a try and you will be able to see for yourself the service level provided by the staff of MAS. The KLIA is the hub for the full service carrier Malaysia Airlines. Firefly Airlines has smaller capacity and only fly within ASEAN region. Check out deals and information with domestic, Indonesia, Singapore and Thailand travel destinations. This airline is the latest low cost carrier to enter the competitive market. It operates from KLIA2 and fly to destination such as India, Indonesia, Thailand, Singapore and Bangladesh. 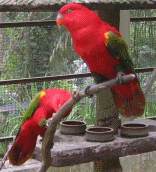 Domestic destination serves are the major cities and state capital of Malaysia. Enjoy your airlines service to Malaysia? Share with us your favorite airlines experience. Please use the form below to submit your story and thanks for sharing.